The tiny capital city of the ex-Yugoslav republic of Montenegro. It is hardly a prime dark tourism destination, but it does offer a few points of interest that may warrant a detour/stopover when travelling around the region. More background info: Podgorica, Montenegro's cuddly small capital city takes its name from Gorica hill at the foot of which the city centre lies. Having been a favoured spot for settlement (at the northern end of the fertile plain between the mountains and the sea and Lake Shkoder), the city developed into an important trading post and a rampart of the Ottoman empire. 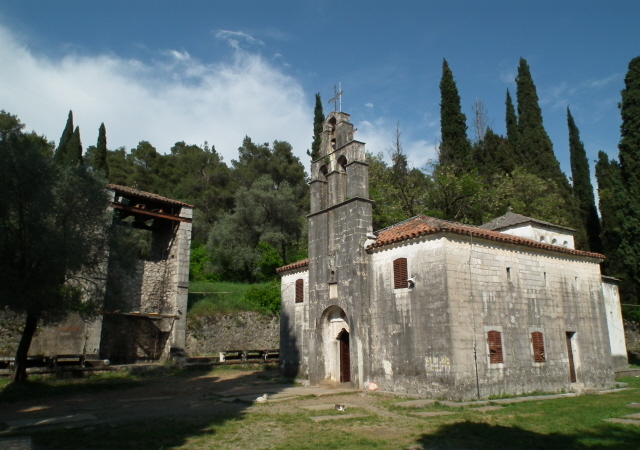 The city flourished in Montenegro's brief pre-WW1 period of independence, but fell into relative insignificance in the inter-war years. 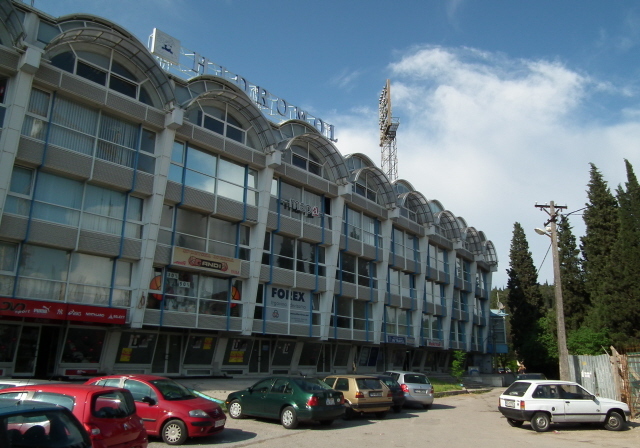 During WWII, Podgorica was occupied, first by Italy, then Germany, and from 1943 onwards became a bombing target for the Allies, as it was on a supply and (later) retreat route for German troops. Apparently at the request of Tito and his partisan forces, the US Air Force and RAF flew bombing missions over Podgorica several dozen times, with the worst of the attacks taking place in May and November 1944. 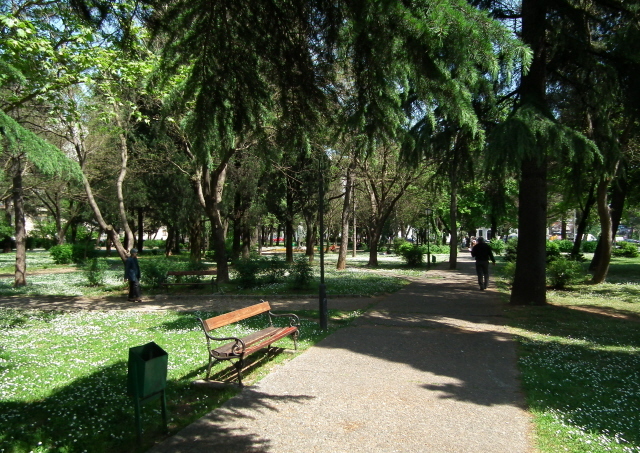 In the bombings Podgorica was virtually razed to the ground, with hardly a structure surviving. This partly explains the dominance of brutalist socialist housing blocks looming large in the rebuilt city today. After WWII and the founding of Yugoslavia, the city was (somewhat ironically) renamed Titograd in honour of the great partisan marshal. Only in 1992, after Yugoslavia had already begun falling apart, did the city revert to its older name. A bar called "Titograd" on Njegoseva Street features old photos of the city from those days under that same name. Yet, it was still another 14 years before it would assume the status of a capital city again, namely after Montenegro became independent again in 2006. 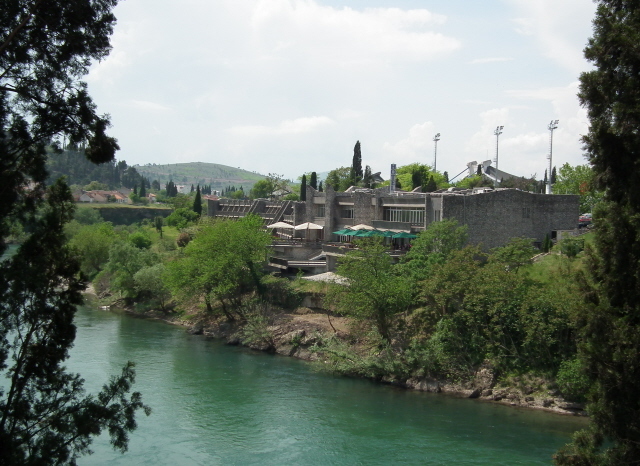 Podgorica is one of the smallest capital cities in Europe – and it isn't particularly touristy, mainly thanks to the drab concrete architecture dominating the cityscape and the absence of major tourist sights. For the dark tourist, however, it has a certain appeal in itself and also offers a number of specific sites worth visiting. 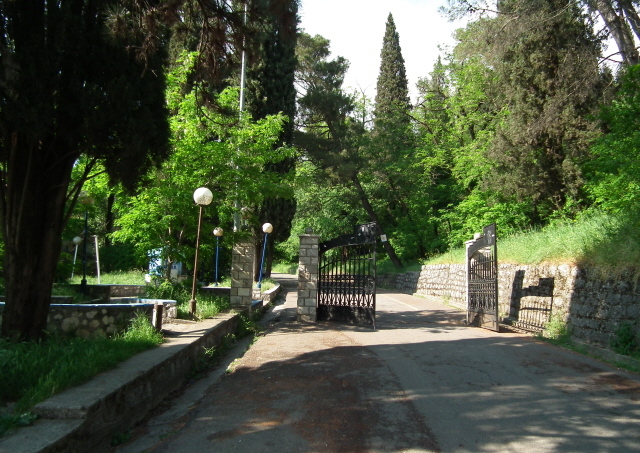 Amongst Podgorica's numerous monuments, the Partizan Memorial on Gorica hill north of the city centre is the biggest and longest established one, and possibly of particular interest to the dark tourist too. 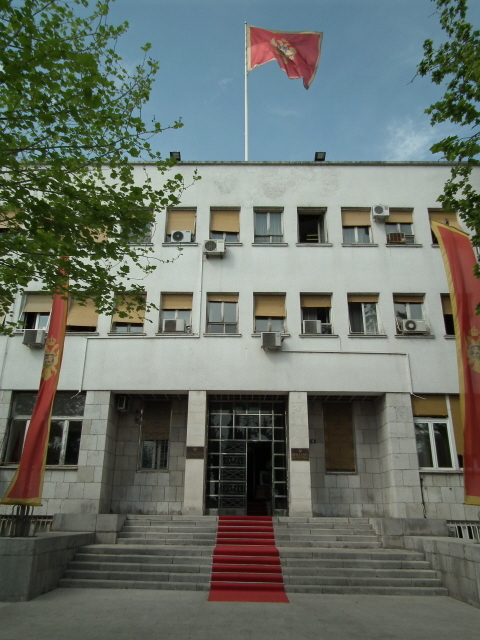 It was constructed in the 1950s and, as the name suggests, honours the partisans who helped liberate the city, Montenegro and all of what would subsequently become Yugoslavia towards the end of WWII. The memorial takes the form of a mausoleum, whose front is guarded by two statues of two soldiers in long overcoats staring sternly ahead towards the city below. Behind them is a kind of crypt, which contains a columbarium with the ashes of the actual national hero partisans. Above it a slab of stone with scant inscriptions of dedication is "housed" under a white stone roof towering over the crypt-guarding stone soldiers at the front. To get there follow the central Sloboda Street to its northern end and carry on past the big stadium (leaving it to your left) and onwards straight ahead up 19 December Street. You'll pass a church on your right, which has an atmospheric overgrown cemetery behind it which is worth a quick look en route! From here a path winds up the wooded hill. Stay to the left as you ascend the hill until you come to the grand approach steps to the monument. Alternatively, when coming from the east (and the Bird of Peace monument – see below) first cross the Vezirov Most bridge and head south down Vaka Durovica, then turn into the first side street on the left and walk up the hill to get to the memorial from the western side. More modern in style, and darker in appeal, is the monument commemorating the extensive bombing of Podgorica in WWII, which resulted in many casualties amongst the city's civilian population. 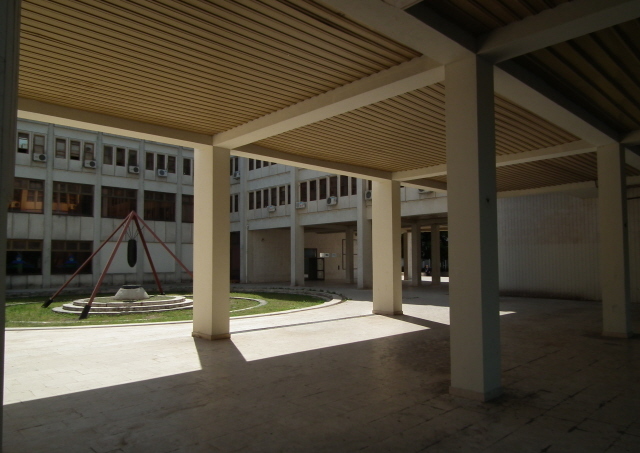 The memorial, placed here in 1994 in an open courtyard surrounded by drab concrete buildings, actually involves a stylized black bomb suspended in free-fall by four steel rods forming an open-sided pyramid. Under the bomb on a plinth sits a circular bronze memorial plaque with an inscription round its rim and a four-leafed-clover-shaped hole in it, which once may or may not have housed an "eternal flame". 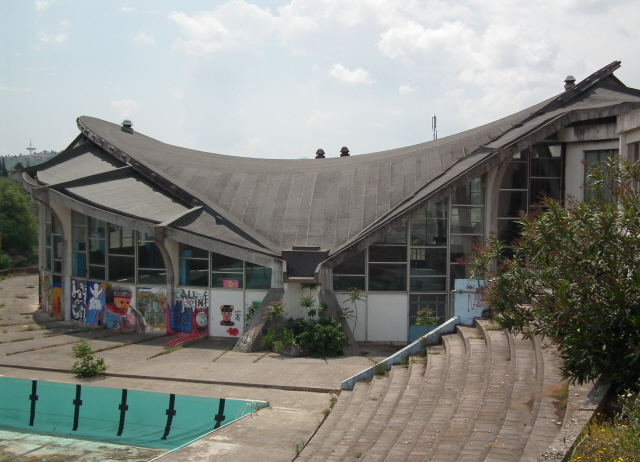 The small and hidden, though remarkable structure is known locally simply as "Bomba" (though its official designation is predictably a lot wordier). 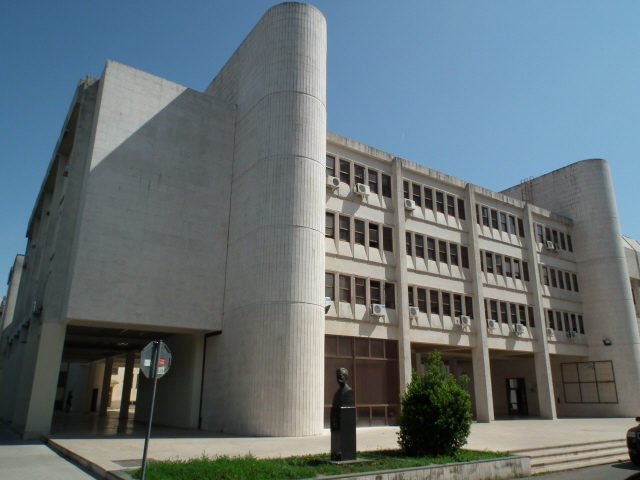 To find it go to the corner of Miljana Vukova and Marka Miljanova streets and enter the large courtyard of the modern building complex on that corner. Another memorial that is even more recent (2005) and darker still is one that recalls the bloody wars of the 1990s in the Balkans. It is called "Bird of Peace" and is indeed (very) roughly bird-shaped – but what makes it so remarkable is the fact that it's built from actual weapons: old rusty machine guns, rifles and pistols (without cartridge magazines or wooden handles) welded together. The weapons used for the monument were apparently handed in by local people in response to a special campaign. The resultant piece of art, a collaborative effort by various Balkan countries' artists, is certainly a stunning piece of modern art as it is – made all the more poignant by its connection to this recent bloodshed in the middle of Europe. Find the monument on a traffic island between the Palada shopping centre and the police station opposite, a couple of hundred yards north from the brilliant white landmark of the Millennium Bridge, up the left bank of the Moraca river, north-east of the city centre. Just south of the Millennium Bridge (see below) the new Moskovski footbridge spans the Moraca river too – and next to its western end stands a remarkable monument of the famed Russian singer-songwriter Vladimir Vysotsky. His life-size barefooted and shirtless bronze statue stands ringed by a mirrored metal frame. He holds a guitar up to his side and his left arm up in the air, as if waving goodbye, and at his feet a skull that looks like it's been dropped there by Hamlet is indeed intended to be an allusion to the last stage role Vysotsky played before his death in 1980. Apparently, Vysotsky had a particular liking for Montenegro and Podgorica – hence the monument here, so far from the singer's homeland of Russia. Location: inland in the southern half of Montenegro, not too far from the border with Albania, 12 miles (20 km) north of Shkodër, and ca. 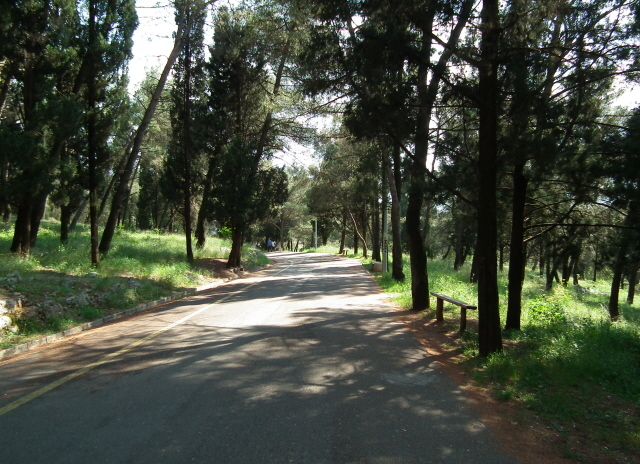 25 miles (40 km) from the Adriatic coast. Access and costs: fairly easy to reach from some places (more tricky from others); a bit pricier than other Balkan cities. Details: getting to Podgorica can be quite easy, but can also pose more of a challenge, depending on where you're coming from. The city, as a new capital, has an international airport and there are various connections to European cities such as Vienna, Paris, Belgrade, Moscow, Istanbul or London. Fare prices can vary quite a bit – some are a bargain, others surprisingly steep. Best check ahead well in time. There's a train connection to Serbia (to/from Belgrade, via Nis), but it's slow. The cheap fares and scenic route may make up for this, though. Most internal and medium-distance travel to neighbouring countries is done by bus. But there are restrictions. 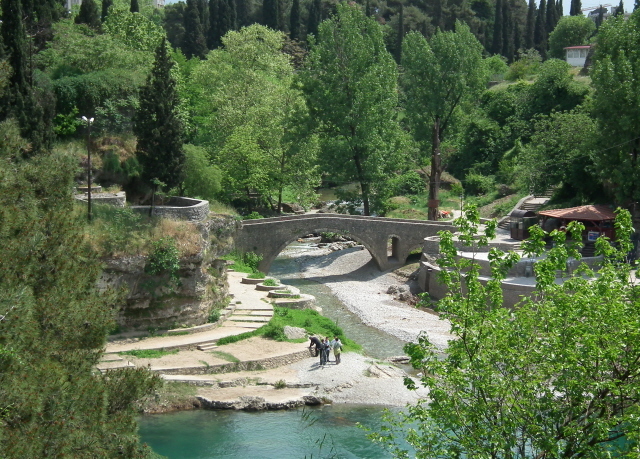 For example, getting to Podgorica from Albania, as I needed to after my visit to Tirana in late April 2011, proved tricky. By bus it would have required two changes and possibly an overnight stopover in Shkodër in northern Albania. So to save valuable time I resorted to a transfer by private taxi instead, which cost 120 EUR (still, it was well worth it for avoiding the hassle). Within Podgorica, public transport will hardly be needed, unless you're staying too far out of the centre (but taxis aren't expensive). 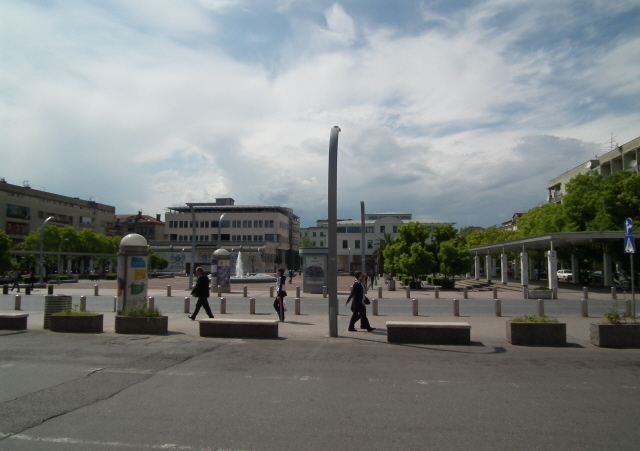 Within this small city, all sites mentioned here can easily be reached on foot. Montenegro uses the euro as its currency even though it is not (yet) a member of the EU, let alone of the eurozone. Maybe it is because of that that prices too are much closer to Western European levels than one may anticipate. Accommodation, in particular, lacks good budget options, and can get genuinely pricey. 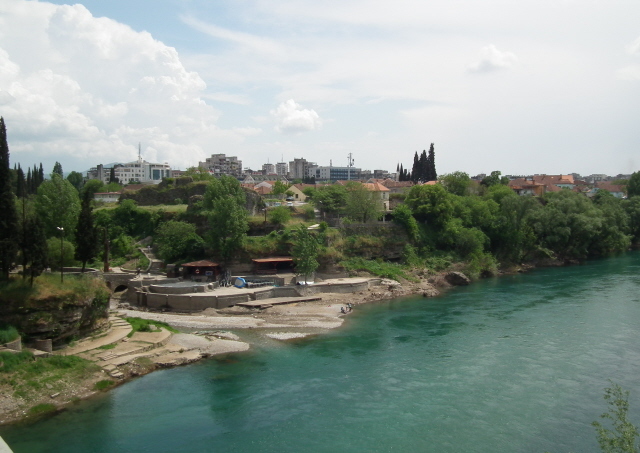 The top end is represented by the swish Hotel Podgorica with its prime location right opposite the confluence of the Moraca and Ribnica rivers. 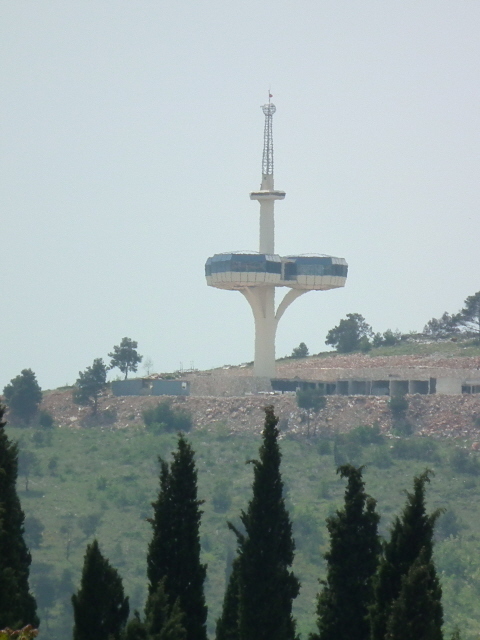 An alternative is the Crna Gora Hotel right in the centre, which is a "grand" pile from the communist days, and it shows. Still, it makes for a certain (n)ostalgic appeal. And if you book early online you can avoid some of the steep rates and save significant money. Costs for food & drink can be similar to what you'd pay in some Western cities, but if you're not too demanding, costs can be kept lower. A beer in a street cafe or a burek on the run are still very cheap – decent wine and dinners in more upmarket places definitely are not! Time required: a day or two are well enough to see everything this small capital has to offer. The distinctly dark sites can probably be covered in a single afternoon, but the relaxed pace of this city may invite you too to take it a bit more slowly and do things in less of a rush. Combinations with other dark destinations: none that I am aware of within Montenegro itself – but Podgorica makes for a good stopover when travelling on to either Serbia in the north, Albania in the south, or Bosnia & Herzegovina in the north-west. Combinations with non-dark destinations: in general see Montenegro – the city of Podgorica itself is very low-key in a mainstream tourism sense. Its reputation is one of boring dullness. But even though there is indeed a lack of grand architecture of world-class museums and the like, the city still has its pleasant sides that can also justify a brief visit for the non-dark tourist. For starters, it's a rather green city. 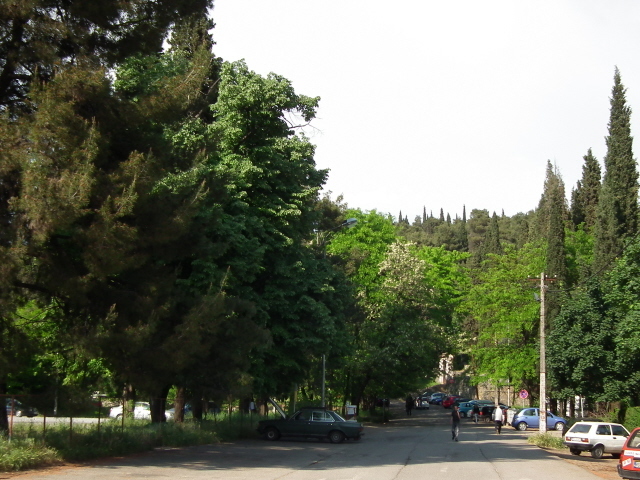 Trees line many streets and there are a few very pleasant parks. The main beauty spots are by the rivers, especially at the confluence of the tiny Ribnica and the much bigger Moraca. Here an old Ottoman-era stone bridge over the Ribnica survives, reached by stairs from the Bulevar Sv. Petra Cetinjskog and the modern Blaza Jovanovica road bridge that takes most of Podgorica's car traffic across the Moraca to the newer urban sprawl beyond. To the north of this bridge the new Millennium Bridge constitutes the main landmark in Podgorica's otherwise drab skyline. 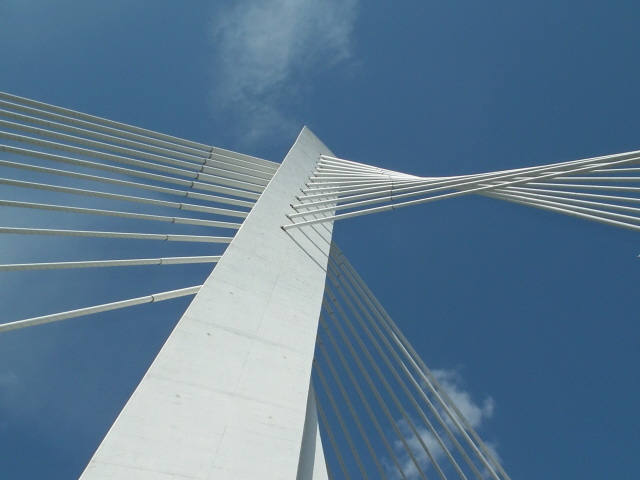 Though only opened in 2005, rather than for the actual Millennium, it makes up for being a bit late with a really cool modernist design, with its single 187 feet (57 m) high pylon, from which white support cables are splayed in such a way that it is a delight for experimental photography! 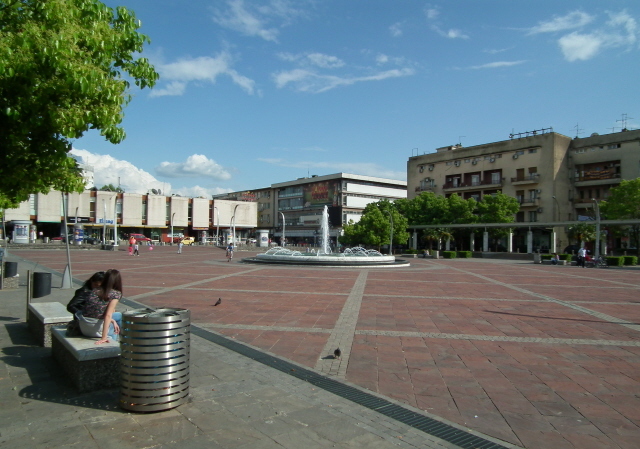 Most of the rest of Podgorica's modern urban architecture is light years from being anywhere near as pleasing to the eye, but the central square, Trg Republike, at least makes an effort with a water feature (lit up colourfully at night) and a City Hall building that is somewhat less brutalist than the surrounding buildings. There are also a few bars and restaurants dotted around the square. 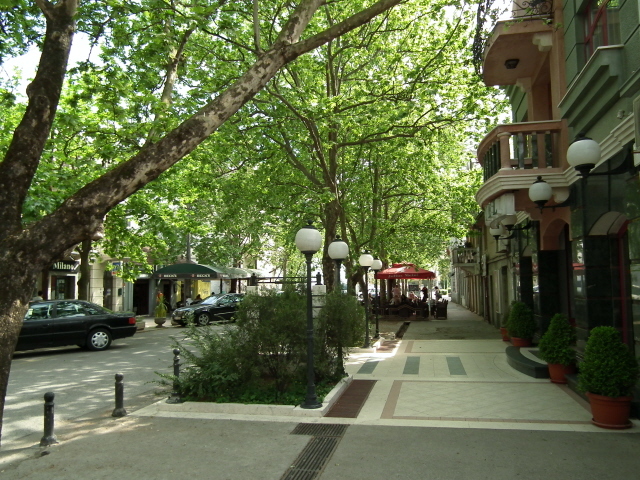 Many more bars and restaurants can be found in the (partly pedestrianized) grid of streets nearby, especially along Hercegovacka and Njegosheva streets. In fact, cafe-bars spilling out onto the pavement are probably the most defining feature of central Podgorica.